In preparation for World Diabetes Day, Diabetes Qualified is offering 20% off Diabetes Essentials 2018. The theme this year is diabetes concerns every family – upskill so you can help! 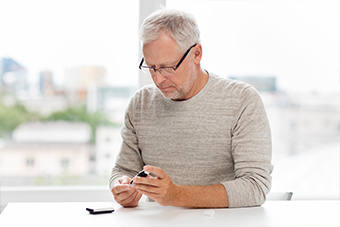 Diabetes Essentials 2018, on Wednesday 14th November, is suitable for any health professional who would like to increase their technical diabetes knowledge and learn more about the pathophysiology of diabetes. It will provide you with the latest information on diabetes including diabetes management principles, and prevention of complications. The program was developed by the CDE team at Diabetes NSW & ACT for Diabetes Qualified. It takes approximately 12 hours to complete and has been endorsed for 12 CPD hours with the Australian College of Nursing (ACN). This offer is available for a limited time until 14th October 2018. You can purchase the course on our website, please use the coupon code WDD20 at checkout to receive $79 off ( 20% discount). Contact Diabetes Qualified on 1300 727 194 if you need assistance and subscribe to our newsletter to receive the latest diabetes news, education and resources.